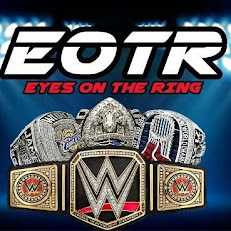 Hello Eyes On The Ring readers and welcome to yet another Ring Of Honor Wrestling review where I bring you all things Honor. This week’s show was really good and featured one of the best TV matches I have seen from ROH in quite some time so lets get to it shall we? Things kick off right away in the arena where Kevin Kelly and Steve Corino welcome us to the show. Roderick Strong’s theme song plays as we go to the ring for our first match of the night. Thoughts: This was Papadon’s Ring of Honor debut. I have heard a lot about Papadon in the past, but this is the first time I was able to see him wrestle. The match starts and Roderick wastes no time trying to put his opponent away by hitting Papadon with a drop kick to pick up a near fall. Papadon recovers and hits a turnbuckle-assisted DDT to pick up a two count. The finish came when Roderick Strong defeats Papadon with the End Of Heartache. Good match and I want to see more out of Papadon because he’ll be a great addition to the roster. After a commercial break, we are treated to an appearance by former ROH World Champion Michael Elgin complete with new theme music. Elgin makes a pre-match entrance for his match with Hanson, which is up next. Before the match starts, Elgin cuts a promo and says that his issue tonight is not with the fans or even with his opponent tonight but Ring of Honor itself. This could be interesting going forward...but it has a risk of getting tiresome very fast but we shall see. Result: No Contest after Elgin gives Hanson a double arm DDT from the apron through a table at ringside. Thoughts: There wasn’t a lot of time given to this match but they made up for the lack of time that they were given by going at it and giving 110% from the opening bell to the closing bell. Early on the match goes to the outside where Hanson throws Elgin into the guardrail. Hanson then goes back into the ring only to come back outside of the ring with a dive onto Elgin, which wiped both men out. Hanson would get a near fall in the match after hitting his signature cartwheel closeline. Shortly after that Elgin hits a flipping leg drop and follows it up with a top rope splash for a near fall. Hanson recovers and backdrops Elgin on the concrete on the outside of the ring before grabbing a table. The match is deemed a no contest after Elgin gives Hanson a double arm DDT from the ring apron through the table that was previously set up at ringside. Result: Ferrara and Coleman pick up the win after a northern lights suplex/german suplex combination. Thoughts: This match seemed hastily thrown together to give these guys something to do. Will Ferrara is better on his own and Caprice Coleman hasn’t done much of anything since splitting up from Cedric Alexander a while ago. Brutal Bob Evans is a good veteran wrestler. but I just can’t take Cheeseburger seriously. At one point in the match, Evans slams Cheeseburger onto Will Ferrara who was on the ground, which picks up a near fall. From there, Bob does a ridiculous move to Ferrara’s arm that I don’t know what to call so I’ll leave it at that. The match ends when Ferrara and Coleman pick up the win after a northern lights/German suplex combination. I wasn’t a fan of this finish because I couldn’t tell who exactly got the win either way it was Ferrara and Coleman but this match did nothing for me. After the match, it would seem as if Brutal Burgers are having some disagreements about how their matches have been going as of late. We will see if this plays out in the coming weeks. Result: Tommaso Ciampa defeats Cedric Alexander after delivering a neckbreaker on part of the ring, which had been exposed. Thoughts: The match starts as both Ciampa and Alexander grab chairs; they swing the chairs at one another and the chairs end up hitting each other. Ciampa rolls to the outside of the ring, Alexander tries to dive to the outside of the ring to hit Ciampa but Ciampa is ready for him and throws a trash can directly at Cedric’s face. Still on the outside and Ciampa takes a chair, unfolds it, and puts it around Cedric’s head. Ciampa then proceeds to throw Alexander head first into the ring post. Back in the ring and Ciampa sets Alexander up in the corner, Ciampa puts a trash can over the head of Alexander and then delivers three running knees to Alexander who can’t defend himself at all. Ciampa goes for the pinfall and gets a two count out of the exchange. Cedric recovers and throws a chair at Ciampa’s face. Cedric would get a near fall of his own after destroying Ciampa’s arm in a chair. Ciampa recovers and goes to the outside of the ring where he grabs a guardrail, he picks up the guardrail and brings it in the ring with him. From there he sets up two chairs and puts the guardrail on top of it. Ciampa then grabs Alexander and sets him up on the top rope and suplexes him through the contraption that he had previously set up. Later on Alexander recovers and dives to the outside of the ring onto Ciampa and follows it up with a splash on the inside of the ring for a near fall. Ciampa recovers and starts taking the ring apart exposing the wooden boards that are under the canvas and padding (This is where you learn how a ring gets put together. kids). From here, Alexander sets Ciampa up in one of the corners of the ring and ties him up with some cable so that he can’t go anywhere. Alexander backs up and runs full steam at Ciampa and hits him with a drop kick Ciampa had nowhere to go. Alexander sets another chair in the ring and picks up Ciampa for a brainbuster through the chair for a near fall. The finish came when Ciampa scores a desperation neck breaker on the wooden boards that were exposed earlier on in the match. After the match is over, the ROH doctors rush the ring to check on both men who just went through a war.